Online poker is now huge; there are some massive poker networks, masses amounts of games and tournaments going on, loads of sites with attractive bonuses and promotions and almost every single type of game you can think of. So how does a newcomer to online poker decide where to play? Those who are after a great range of options, loose games and loads of promotions are likely to enjoy 888 Poker. It is the third largest poker site online and offers an extremely high quality experience. There are always tournaments on the go as well as loads of freerolls if you’re hoping to build up your bankroll. Furthermore, the software is brilliantly designed with fun graphics and nice features. Another extremely impressive site is William Hill Poker. The site is part of the iPoker network which means that there is always loads going on, each month $16 million in guaranteed prize money is up for grabs on the network. The site offers a wide range of games and a fantastic selection of sit-and-go tournaments. The software is also very good, while the graphics aren’t as impressive as at some sites the vast majority of users are more than happy with them. One of the most famous online poker sites is Full Tilt. It also offers some massive promotions alongside extremely high-stakes games and an excellent collection of casino games to complement the poker offering. The site was re-launched in 2012 and it is absolutely packed with high quality games, tournaments and much more. However, the largest poker site online is PokerStars. It offers a massive range of games, from some extremely high-stakes games to some of the hardest to find mixed games. 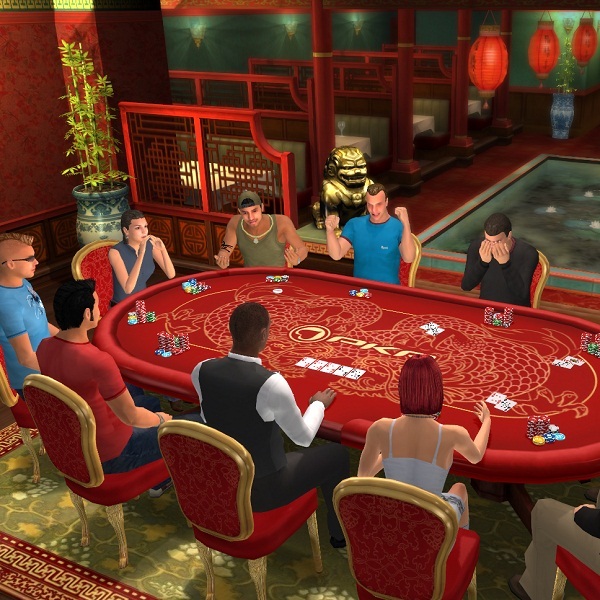 A number of the world’s most famous poker players are PokerStars pros but members will find players of all levels and enough range of games to satisfy all needs.